councils to the Boundaries Commission at the end of March. However his assessment will not be publicly available until the decision on whether the merger should proceed is made by the Minister of Local Government by the end of June. Into this period of uncertainty has been tossed the news that those councils not merging will have their elections in Sept-ember this year, while those that are merging will have their elections in March 2017. In Sydney, Woollahra and Mosman councils are looking to launch separate legal actions against the forced merger proposals, and it may be possible for Kiama to register an interest to benefit from the outcome of the proceedings. Council is seeking formal legal advice on the matter. 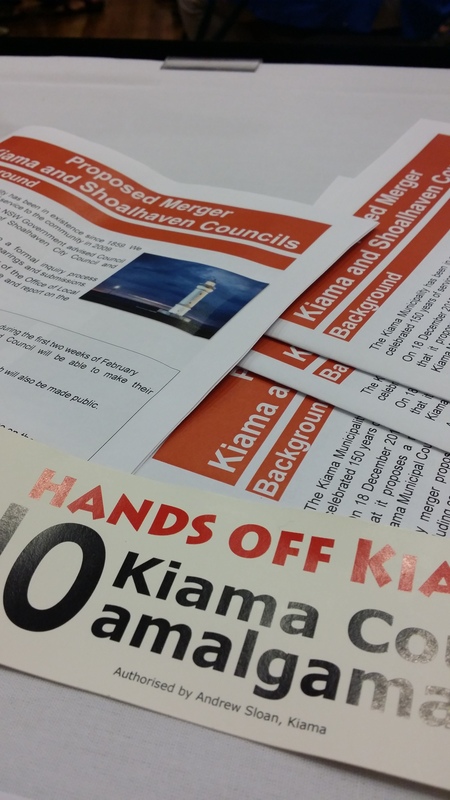 Kiama’s decision to go to a poll on the issue means that the focus is now on making sure as many residents as possible turn out to vote, as it is not compulsory. 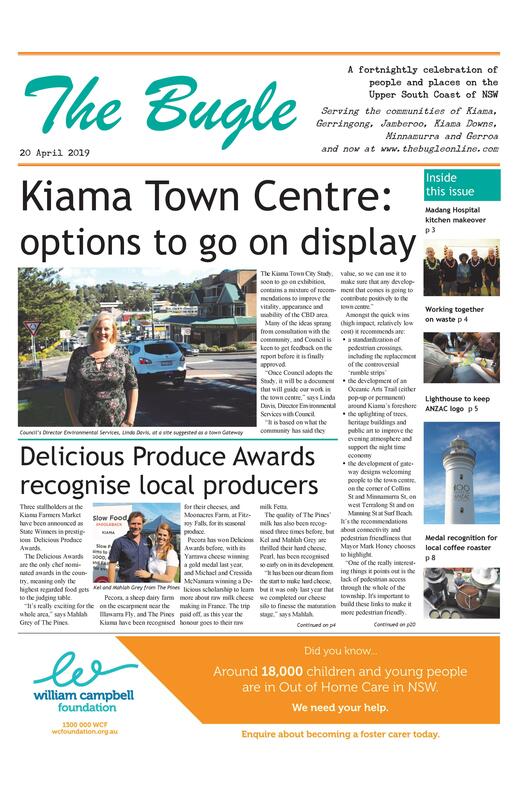 On the advice of the Electoral Commission, the question to be posed has changed to: Do you want Kiama Municipal Council to amalgamate with another Council? Brainstorming at community engagement sessions has considered how best to maintain the anti-merger campaign, up to and past the poll, recognising the final decision will be political. The poll is to be held on Saturday 7 May.